Jean-Louis Agobet was born in 1968. A former student at the CNSM in Lyon (composition, writing and musical IT), he was an intern at the Villa Medici (1996-98). The Itinéraire ensemble (directed by Mark Foster) recorded his works (« Choc du Monde de la Musique ») together with the Strasbourg Philharmonic Orchestra (conducted by François-Xavier Roth, laureate from the Académie Charles Cros, Victoires de la Musique Classique 2006). 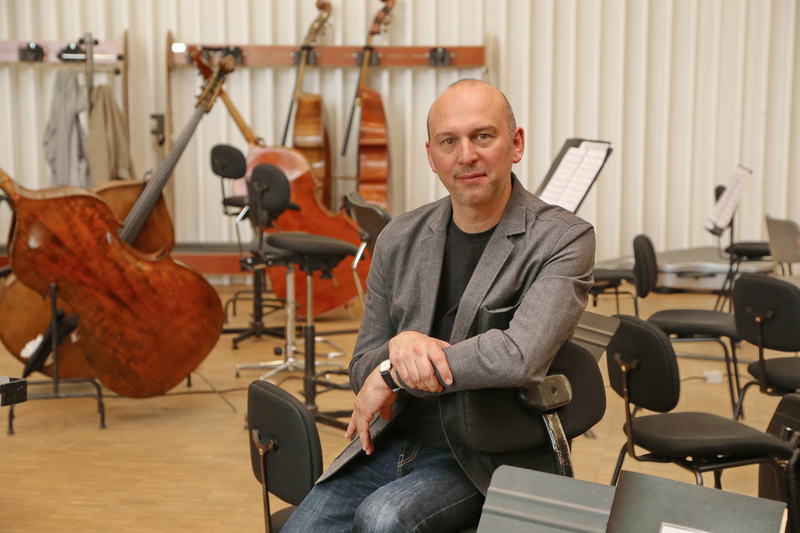 He was also winner of the Prix Italia 95, Prix Pierre Cardin de l’Académie des Beaux-Arts, and Prix Claude Arrieu de la SACEM … He was the resident composer with the orchestras of Montpellier (1998-2000) and Strasbourg (2001-2004) and was then associated with the l’Orchestre National de Lorraine (2013-2015). His music is heard regularly in Europe, Japan and the United States and he works with a number of universities, particularly in Asia. Since 2011, Jean-Louis Agobet has been lecturing on composition at the Bordeaux academy of Music (Conservatoire de Bordeaux). Jean-Louis Agobet is one of a … generation able to serenely contemplate everything gained from the past century and blend different styles of writing in one and the same score. Simon Corley writing about Génération.